The God-Man, Jesus, said, “I am the resurrection and the life” (John 11:25a). He was placed in a tomb, dead. It was a wonder he survived the brutality of the flogging to have to suffer death on a cross. But a soldier verified his death by putting a spear in his side. Yes, he was dead. Joseph and Nicodemus wrapped the body of Jesus in linens with the traditional seventy-five pound mixture of aromatic spices. Using levers, the two men rolled a two-ton stone in front of the tomb. The next day a Roman detachment was put on guard by orders of the governor Pilate, after the Jewish leaders warned of the body being stolen. The guards placed a seal upon the tomb and kept vigilant watch under threat of death by military code (Justinian’s Digest 49:16). And all was silent, cold, and dark. But early at dawn of the first day of the week, history changed. The ground shook. The light of life coursed through the body of Jesus, and resurrection power transformed dead cells and liquified congealed blood. His heart warmed and began to beat. Every synapse and nerve ending began to fire with energy from the Spirit of God. Then a first gasp. The light of a mighty angel. The stone was rolled away. Empty burial iinens lying in the tomb. The detachment of guards seized up and “became like dead men”. 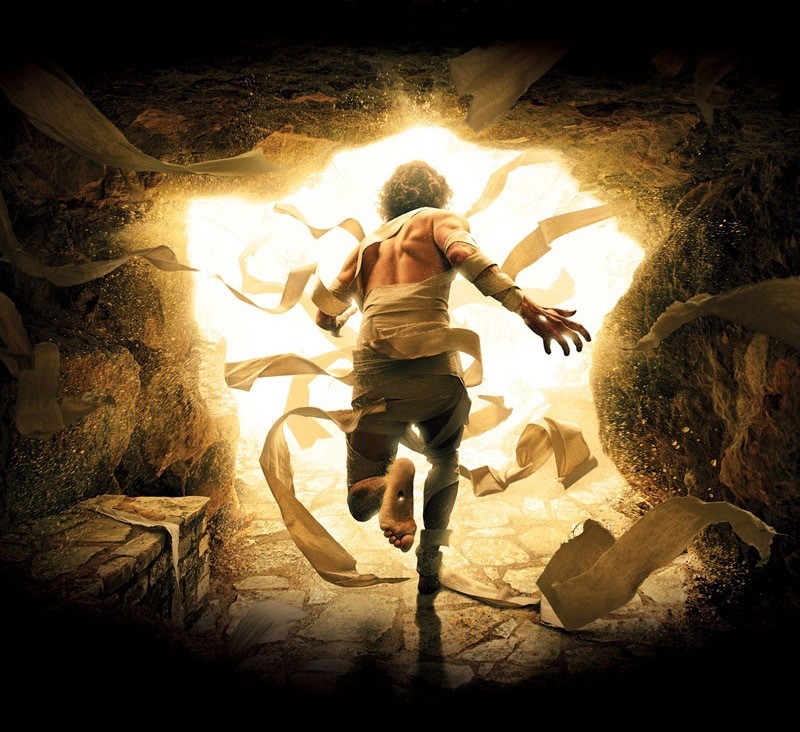 The living Savior, Jesus, was gone, leaving the tomb behind forever. Just an angel remained to deliver a message to the women coming to the tomb: “Why are you looking among the dead for someone who is alive? He isn’t here. He is risen from the dead!” (Luke 24:5-6). The angel gave a message for the women to tell the disciples to meet Jesus in Galilee. They were still in Jerusalem, hiding in fear for their lives in a locked room. The women tell the disciples, but they are slow to believe. Jesus couldn’t wait any longer: he appears to Mary Magdalene, Peter, and the two on the road to Emmaus. By Sunday evening, the joy of Jesus moves him to bypass the Galilee meet-up, and he appears in the room with the disciples in Jerusalem. The joy spreads and wonder fills, as the disciples touch his hands, eat with him, hear his voice again. A ghost has no flesh and bones. A man who didn’t really die, doesn’t miraculously heal from a Roman flogging in three days. For a period of forty days Jesus appeared to his disciples, opening their minds to the Scriptures, teaching them. At one point he appeared to over 500 people at the same time. No, it’s not a mass hallucination. And neither was it one of the other alternate theories presented by new atheists. The body wasn’t stolen. It wasn’t relocated. It wasn’t that they visited the wrong tomb. It wasn’t a variation of an ancient resurrection myth tacked on to a sad story. These men and women, gave their lives to testifying about seeing the resurrected Jesus. He was miraculously alive. And He still lives today. The resurrection changes everything for us today. Not only does it validate Jesus’ claim to offer resurrection to us too, but we are told that resurrection power is made available to us now (Eph 1:19). Why would God give that sort of power to ordinary people? Resurrection follows death. People who have been crucified with Christ need resurrection (Gal 5:22). People who have had relationships and dreams die, need resurrection. This coming Sunday, April 21, we will be celebrating the resurrection of Jesus and why it makes all the difference in the world for us. Hope you will join the celebration.